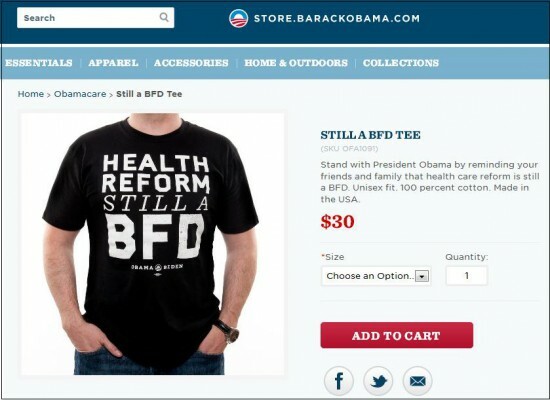 The Obama Campaign introduced their “Health Care Still a BFD” T-shirts today. Republicans should counter with “Obamacare Just a Big-Effing-Tax They Lied About” T-shirts. UPDATE: Of course, the Obama website is also tweeting about this BFD by Chief Justice Roberts.